At 8,600 feet above sea level, high on an Andean plateau, Bogotá is Colombia’s largest city and one of the highest capitals in the world. Its location has benefits, like abundant, year-round freshwater for its 8 million residents, trickling down from moorlands, and a relatively consistent and cool climate throughout the year. These traits should make its building energy demands relatively low and straightforward relative to its neighbors. In addition, at roughly 45 percent of national emissions, reducing building energy use is central to meeting Colombia’s international climate commitments. But when Bogotá began implementing national building codes passed in 2015 at the local level, the city found the policy unimplementable in practice due to certain missing elements like guidance on baselining. 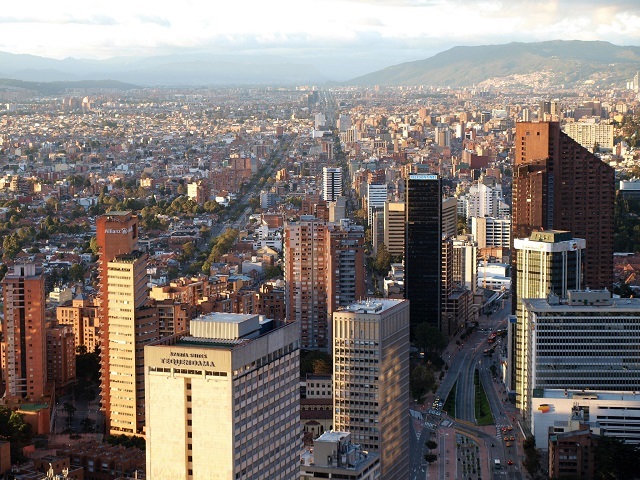 In late 2016, through the global Building Efficiency Accelerator, Bogotá committed publicly to implement a building energy code in city regulation and district plans. Within only six months they’d held a launch workshop, won official support from multiple city departments, and presented their 18-month workplan at a BEA network meeting. By summer of 2017, they had discovered the national codes’ shortcomings. The timing was particularly crucial due to the city’s breakneck pace of growth. By 2050, Bogotá plans to double its number of homes, from 2.3 million to an additional 2.7 million, and is already in the process of developing a new master plan that will determine how it grows over the next 12 years. Mayor Enrique Peñalosa made it clear that this growth could not come with a doubling in energy demand on its grid, or at the expense of air quality for its already vulnerable citizens. So, he sought a compromise. Together with BEA’s Colombian partner, Consejo Colombiano de Construcción Sostenible (CCCS), Bogotá city officials reached out to the Building Efficiency Accelerator to identify expertise that could help, and were put in touch with the U.S.-based Pacific Northwest National Laboratory, which proved crucial to understanding how to best revise and implement the Colombian building code. The Lab had evaluated building energy codes from multiple countries, with various designs, and even more varied impacts. They were able to lay out a set of options for making the legislation more realistic and implementable on the ground. 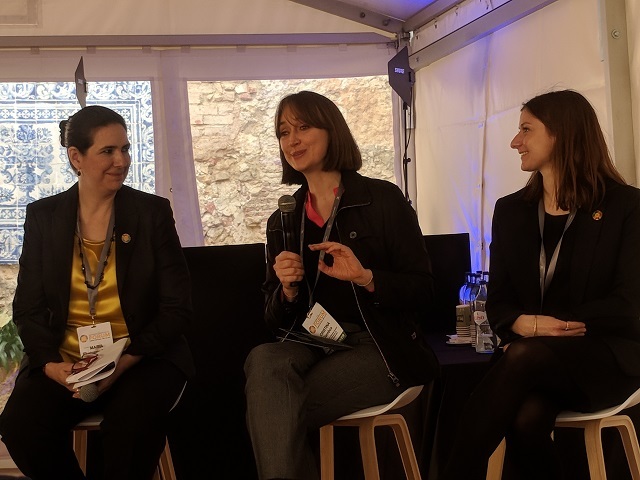 Bogotá then enlisted local brainpower through university researchers, utility executives and local construction leaders to simulate how revising the legislation could make it more workable by the local construction sector. As part of its master planning process, Bogotá city staff, CCCS and the BEA conducted a set of technical and stakeholder analyses. Armed with the results of these, they were able to create a protocol that made the national building code something Bogotá and other large Colombian cities could properly implement on the ground. The protocol made it feasible for the mayor to commit to implementing the national code throughout the city’s master plan for urban redevelopment. “Through the BEA, we worked to deliver a policy that is adapted to the city’s needs and its climate and technical capacities,” said Juan Camilo González, advisor to the mayor. The final action plan was signed by the city’s planning and environment secretaries, accompanied by the mayor, fittingly, at a CCCS event. Building from its experience with Bogotá, CCCS then held several roundtables with the Colombian National Planning Department to inform national policy on sustainable buildings. This March, the summary white paper was approved by the president and his cabinet, much to the delight of CCCS, Bogotá and their far-flung friends throughout the BEA network. Now the race is on to see which major urban projects will put Bogotá’s adapted building energy code into effect first. With $260 million in green bond dollars committed by Colombia’s two largest banks and energy efficiency incentives approved for certified buildings, there will undoubtedly be many mountaineers in this race to the top. Shannon Hilsey is the project coordinator for the Building Efficiency Initiative at WRI Ross Center for Sustainable Cities. Emma Stewart is director of urban efficiency and climate at WRI Ross Center for Sustainable Cities. Cristina Gamboa is the CEO of Consejo Colombiano de Construcción Sostenible (CCCS).